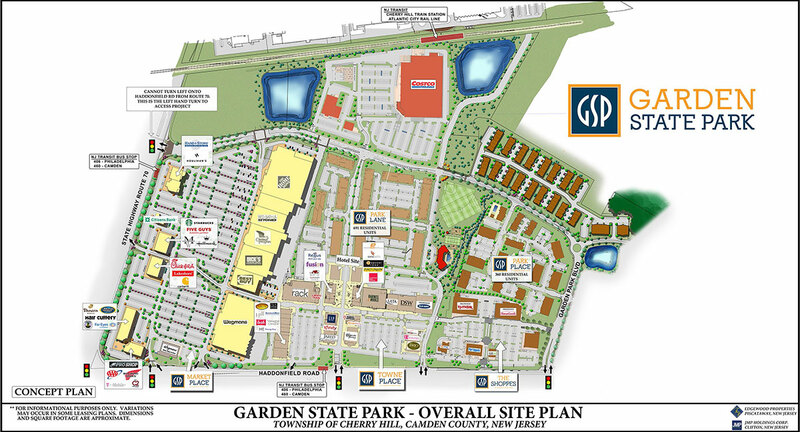 Cherry Hill’s Garden State Park Community is a landmark development in South Jersey. The new luxury townhomes, apartments and condominiums rival any luxury apartments in Philadelphia, and are simply the envy of all luxury residences in New Jersey. Adjacent to more than 530,000 square feet of the nation’s leading retailers and restaurants, and with convenient access to public transportation, the unrivaled elegance and convenience of Park Place simply redefines luxury. Located just minutes from the banks of the scenic Delaware River, Park Place is perfectly situated for you to enjoy popular attractions along the Delaware Waterfront. With so much to see and do, you’ll feel like you’re on vacation, all year round. A Place to Live! A Place to Eat! A Place to Shop! A Place for Your Business! A Place to Relax!